Balmar 6-Series Alternators deliver high-output performance in a compact, small-case package and is available in all four common mounting configurations (see Selecting a Charging System). 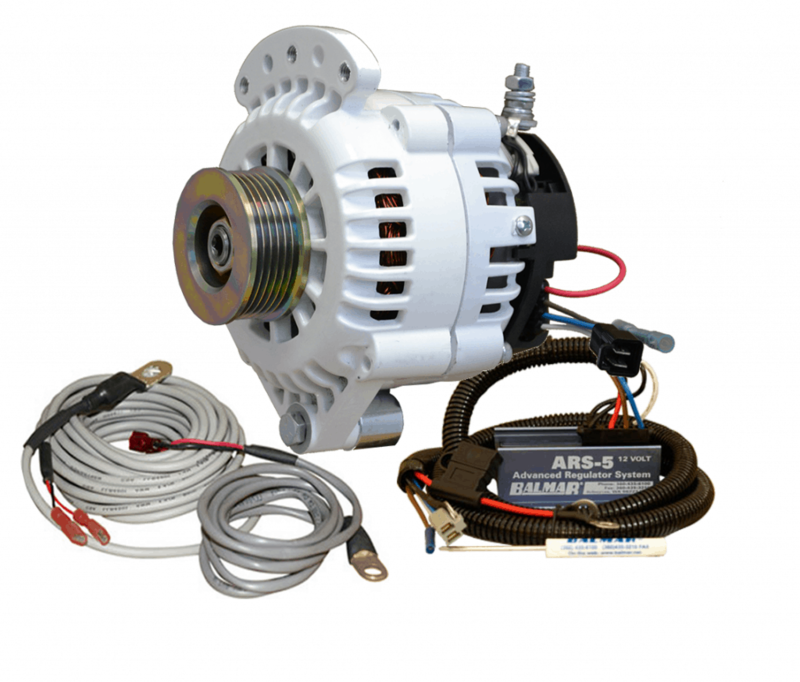 While all Balmar’s high-output alternators are designed and recommended for use with our multi-stage voltage regulators, the 6-Series Alternator utilizes Balmar’s Smart Ready® Technology. If battery loads are relatively small and your engine is running frequently, the alternator’s internal regulator may be sufficient to support your electrical needs without external regulation. If your vessel utilizes larger deep-cycle battery banks or the engine’s duty cycle is less frequent (as is the case in most sailing applications), the 6-Series Alternator combines and works seamlessly with Balmar’s ARS-5 Voltage Regulator or Max Charge Voltage Regulator. Purchased either individually or as a charging kit, 6-Series Alternators can solve a multitude of charging problems at a reasonable price. All kits come with alternator, regulator and two temperature sensors. (Saddle) 604-24-70-DV Charging Kit Not Available. A Max Charge Regulator Kit is required for 24 volt, Dual-Alternator or Dual Engine Applications.